Valerie Saxton Sharpe currently works as an educational consultant in the areas of cognitive disabilities, executive functioning, and teacher preparation. Val’s career path started as a special education teacher for a large Maryland school system teaching students with learning disabilities and cognitive impairments. As an administrator, she chaired the Special Education department in a comprehensive high school setting. Lastly, as an instructional specialist, she supervised and provided teacher training. 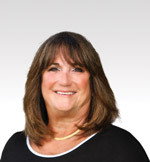 Following her career in teaching and supervision, Val prepared teachers at both Hood College and Towson University. While at Hood College, she played an integral role in the development of an assessment system to measure teacher candidate performance used for program review, reform and for accreditation purposes. As program coordinator for Towson University Elementary Education/Special Education at the Universities at Shady Grove she was known for her innovative methodology used in the preparation of teacher candidates to teach ALL students. Val was instrumental in providing teacher candidates opportunities to gain knowledge and skills in universal design, differentiated instruction, and executive function skills. She developed new Professional Development Schools (PDS) partnerships with the local school system, secured grant funding for the design and implementation of unique teacher preparation projects, wrote manuals addressing co-teaching and mentoring, and presented at PDS conferences. For her outstanding work at Towson University, Val was awarded the Gloria E. Neubert Excellence in Teaching Award, The Universities at Shady Grove Teaching Award and the Universities at Shady Grove Campus Program Director of the Year Award. She was appointed by the governor of Maryland to serve on the Maryland Professional Standards Teacher Education Board. Val also served as an invited member of the Educational Testing Service (ETS) Elementary Education Praxis II test development team. An advocate for students with disabilities, Val has served as a national and state officer for the Council for Exceptional Children and its Division on Autism and Developmental Disabilities (DADD). For her work with DADD, she received the Special Recognition Award. Additionally, she has served on the Board of Trustees for Service Coordination of Frederick County that assists individuals with developmental disabilities to obtain services. As a member of this Board, Val supported the implementation of transition and employment services for individuals with disabilities in Maryland. Val and a colleague co-founded Project Boost. They wrote and taught a curriculum that provides executive function skill training for students K-12 by building skills through a 7 - Step Model. Teachers and administrators throughout the mainland and Hawaii have been trained to use the program, and the pair is writing a book on the model and accompanying strategies. They currently teach online courses on executive functioning and classroom management at Frostburg State University, Frostburg, MD.